You’ve just been hurt in a wreck. You’re likely unsure and scared of what might happen next. Your health, wellness and ability to continue to work and function as before may seem unclear. Now is the time to contact a personal injury lawyer you can trust. Lerner and Rowe Injury Attorneys is among the most awarded personal injury law firms in Arizona and recently added location in Albuquerque, New Mexico. Our track record testifies to our dedication to secure fair and just results for our clients. Further evidence of our legal prowess are the awards we have garnered over the years and the recognition from top legal associations. Lerner and Rowe Injury Attorneys was voted best personal injury law firm in independent reader polls conducted in 2016, 2017 and 2018 by AZFoothills Magazine in Phoenix. Each year AZFoothills.com asks readers what their favorites are, offering thousands of options chosen by nominations, editors and focus groups. The contest is answered with hundreds of thousands of votes that determine the Valley’s favorites. The best of each category will is featured in a special feature issue, a tell-all guide to the coolest people and places in the Valley of the Sun. No purchase is necessary to enter this contest. In addition to the requirements set forth below, the Arizona Foothills Magazine Best of Our Valley Contest, or “Contest”, is open to all potential businesses, except the directors, officers, agents and employees of Media That Delivers and their respective affiliated and associated entities and members of their respective immediate families living in the same household.  All nominated contest entrants will be evaluated initially by Arizona Foothills Magazine editors and local focus groups to determine the top finalists for each category. All finalist choices are at the discretion of their editors, as those featured need to uphold the standards and integrity of Arizona Foothills Magazine. All nominees will be notified via e-mail, Twitter or phone. Any Nominee can withdraw from this contest at any time. 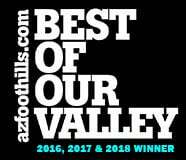 Arizona Foothills Magazine and the Panel will select Best Of Our Valley Nominees whose business name or individual name will be placed on their Web site for voting. 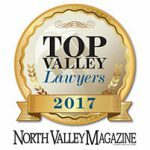 Attorney Kevin Rowe has been featured in North Valley Magazine as a top injury lawyer for 2016, 2017 and 2018. 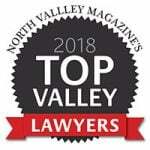 North Valley Magazine teams up with Avvo annually to present a Top Valley Lawyers guide that lists top lawyers in the Phoenix area. Avvo, Inc. is a Seattle based company that helps consumers find lawyers and make legalese easier to understand. Backed by consumer and peer endorsements, Avvo features 97% of US lawyers. 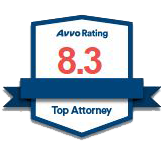 Top Valley Lawyers listed are ranked based on their professional backgrounds with help from third-party attorney ranking systems, such as Avvo’s proprietary algorithms. Those awarded join an exclusive fraternity of Super-Star Lawyers who have won Million, Multi-Million and/or Billion Dollar cases – a feat achieved by fewer than 1% of all lawyers. Of the nearly 1.1 Million lawyers considered, only a select few (about 12 Law Firms) per State or DMA, will achieve the distinction of being awarded each year in any given Practice Specialty. Lerner and Rowe Injury Attorneys was among those to receive this honor in Arizona for two years in a row. Attorneys invited to be a Member of the Distinguished Justice Advocates must be eligible and meet their initial criteria for membership. Not all Attorneys who apply will be approved. It may be possible to require additional or supporting information for approval, and applicants who do not clearly qualify are denied membership. If membership is denied, fees paid by the applicant are refunded. 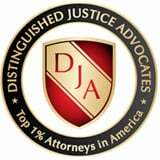 Attorneys invited to be a Charter Member of the Distinguished Justice Advocates must meet their initial criteria for membership. This includes being recognized for attaining certain honors or awards, achievement in trial results, or credentials as an attorney in good standing. This also includes being recognized with a high degree of peer recognition and/or professional competence or success. This could include certification as a state bar recognized specialist in a particular practice area, or admission to prestigious trial lawyer groups, colleges or academies, such as SuperLawyers®, Million Dollar Advocates Forum©, or The American College of Trial Lawyers. This could also include elements of successful attorney trial experience, education, attorney work background, special certificates earned, pro-bono work performed, and published materials by the nominated attorney. 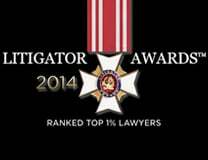 Recipients of this prestigious award have demonstrated the highest ideals of the legal profession. 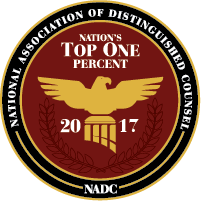 Attorney Kevin Rowe was among the elite 1% to be invited to join the ranks of the NADC. So what separates the great Personal Injury Attorneys from the merely good?  It’s their ability to always deliver the best possible resolution for their clients. This is displayed in a track record of high compensation claims secured, plus the positive difference made to their clients’ lives. 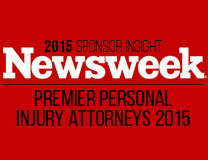 As such, Lerner and Rowe Injury Attorneys was included as a premier personal injury attorney law firm in a special legal section published by Newsweek. Attorney Kevin Rowe received the honor of being voted one of the Top 10 Personal Injury Attorneys in Arizona by the National Academy of Personal Injury Attorneys (NAOPIA). There are more than a million lawyers in the United States, so being selected as one of the top 10 personal injury lawyers in Arizona is a singular honor. 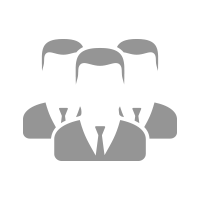 The Avvo Ratings are based on the information available in an attorney’s Avvo profile. 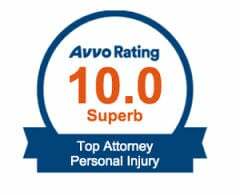 Avvo creates the rating by using a model that considers information the lawyer has included on their profile in addition to the information we collect from public sources like state bar associations and lawyer websites. Any information that affects the Avvo Rating is visible in an attorney’s profile. Developed by legal professionals and people looking for legal services. 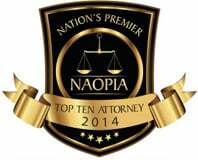 +Attorney Kevin Rowe has received a 10 rating for top wrongful death attorney and top personal injury attorney. 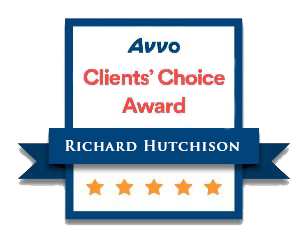 ++Attorney Richard Hutchison has received an 8.3 rating for being a top attorney. Avvo is a nationally recognized online law directory that provides users with law office profiles, attorney reviews, legal guides, and answers to frequently asked legal questions. At Avvo.com, those who need legal assistance and legal counsel can connect with the best lawyers and find legal information. 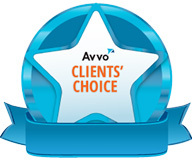 +++ Attorneys Kevin Rowe, Edward Earle and Richard Hutchison are each recipients of Avvo’s Client’s Choice Award. 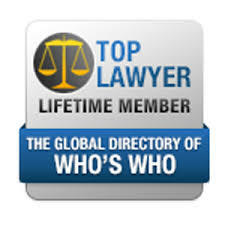 Attorney Kevin Rowe is recognized in The Global Directory of Who’s Who as a top lawyer lifetime member for his accomplishments and contributions to the global marketplace. The registry is an annual, hard covered publication and serves as an outstanding resource for networking and consulting, and is a significant third party endorsement.